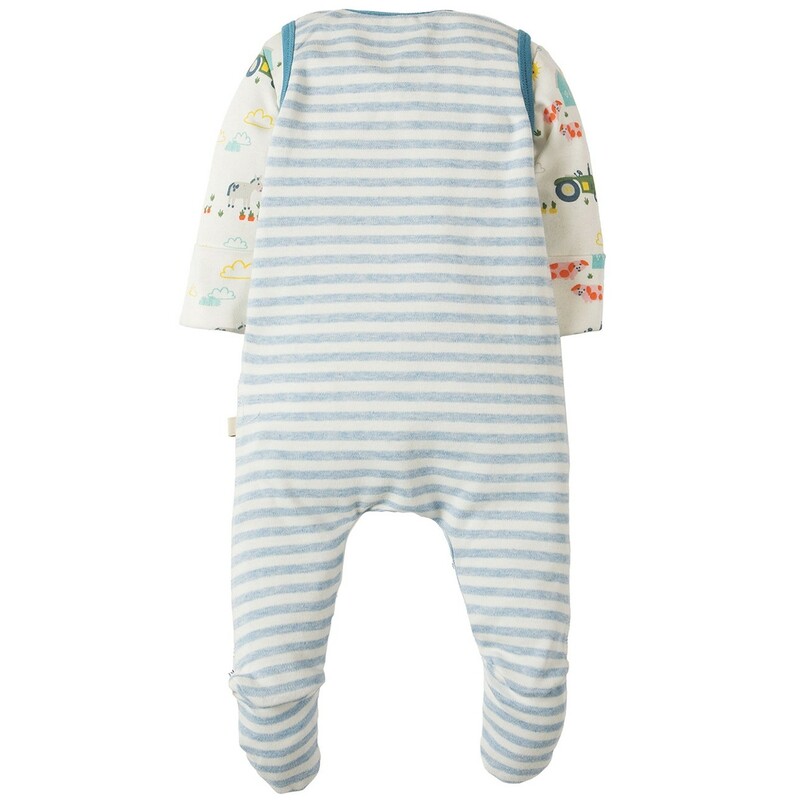 This My First Frugi outfit includes an adorable pair of blue striped, tractor dungarees and a co-ordinating body suit - the perfect organic cotton outfit for budding farmers. 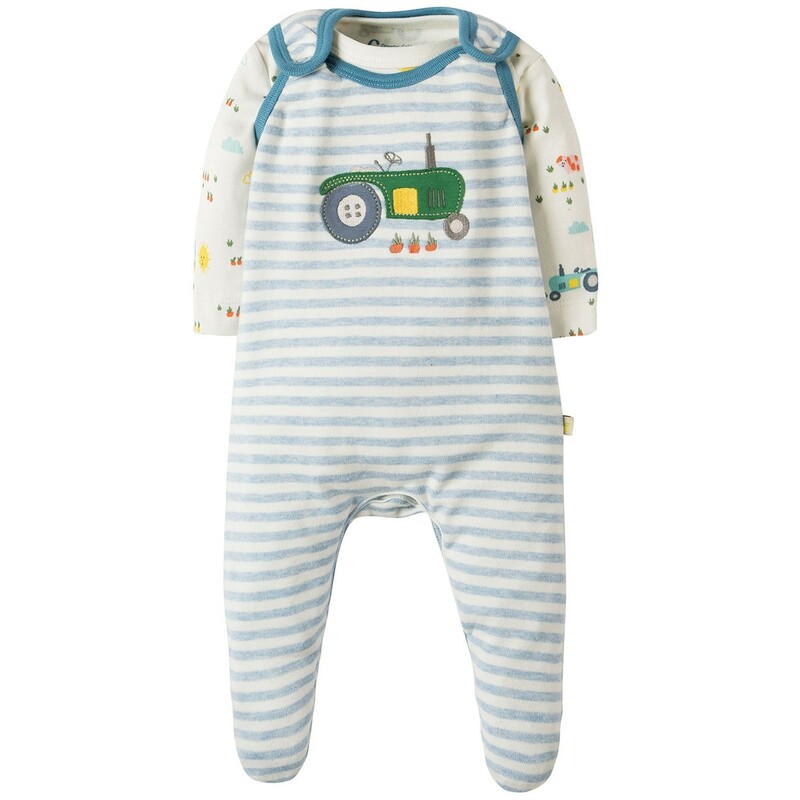 These sweet dungarees have integral feet and a cute tractor applique on the front. 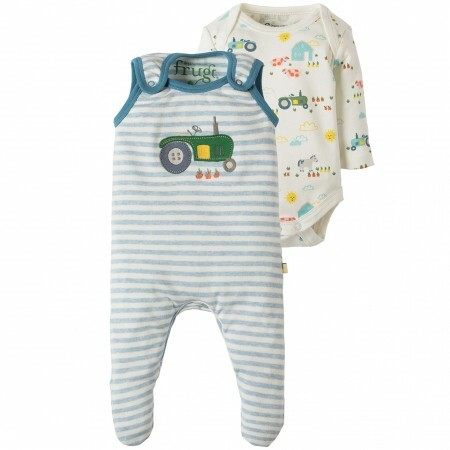 The bodysuit has an envelope neck and a cute print of tractors and farm scenes. 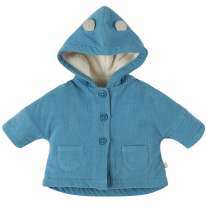 This organic cotton baby outfit makes a wonderfully soft and eco-friendly gift for a new baby. 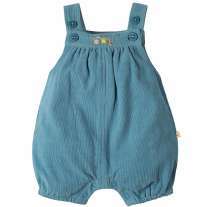 The dungarees and bodysuit are cut for cloth nappies and are gentle against delicate baby skin.